Recreational boating and fun in the sun go hand in hand. Unfortunately, when there is more traffic on the waterways, it becomes all the more likely that a boating accident will occur. When that happens, Newport Beach accident attorneys can discuss how to pursue a claim for injuries. As Newport Beach accident attorneys can explain, boating accident injuries are in some cases much more severe than those suffered in car accidents. Boat passengers are usually unrestrained. Additionally, if a passenger is thrown from a boat, they may suffer a real risk of drowning or hypothermia depending on the conditions. Passengers in boating accidents can suffer broken bones, closed head injuries, nerve damage, muscle and tissue damage, whiplash, and even the effects of oxygen deprivation if they are submerged long enough. Unfortunately, permanent paralysis and death are also major risks. If you’ve been injured, it’s critical that you understand the steps you can take to pursue compensation. 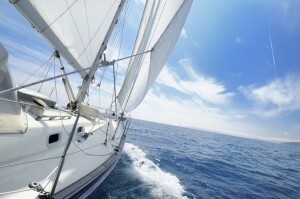 In particular, boating and other personal injury claims carry a strict statute of limitations. If you do not pursue your claim in a timely fashion, you may lose the ability to ever seek compensation. Next, let’s take a look at some elements of a boating or watercraft accident case. As Newport Beach accident attorneys know, boating accident claims require proof of negligence. Negligence requires a showing that the wrongdoer failed to follow a set standard of care in protecting others against injury. Each person involved is required to act reasonably to keep themselves and others free from injury by their actions. If an actual injury results from negligent or unreasonable conduct, then liability may arise. When you have a claim for personal injuries, the first step is usually filing a claim with the boat operator’s insurance company. An adjuster will be assigned to the case and will conduct an investigation. Claimants often feel like the adjuster’s job is merely to say no and deny benefits. To some extent, this is true. It’s the adjuster’s job to protect the insurance company’s assets and protect the pool of other insured clients. You will need to provide copious supporting documentation about the extent of your injuries and how they have impacted your daily life. This will usually include providing medical documentation and records from your employer about lost wages and other economic damages. failure to adapt to weather conditions etc. Any one of the above factors may contribute to a catastrophic accident such as a collision with another watercraft or object. Accidents like these can occur on private or commercial watercraft. In the case of commercial watercraft, you may also have a claim against the company that owns the boat. This is called vicarious liability. In general, if a commercial boat operator is acting within the scope of his or her employment when the accident occurs, then the owner is also liable for any injuries sustained. The insurance adjuster and the court will also look at whether you may have done anything to contribute to your own injuries. For example, if you were struck by another boat but you were driving under the influence, this will likely impact your ability to seek damages. If it can be shown that your conduct contributed in whole or in part to the accident, it can either reduce or bar your damages claim. If the insurance company will not settle, you’ll have a decision to make. Your only recourse may be to take the defendant to court. Your attorney can discuss the pros and cons of filing a lawsuit in your specific case. If you decide a lawsuit is feasible, your attorney can prepare the paperwork to file a complaint against the responsible parties. After the defendants answer the lawsuit, your case will go into discovery. During the discovery phase, you may need to attend a deposition and answer a variety of written questions submitted by the lawyer for the defendant. Settlement is still possible even after a lawsuit is filed. In fact, some insurance companies won’t even consider settlement until the claimant files suit. Your attorney can prepare you for what to expect during each step of the process. You do not have to deal with the insurance company on your own. Your attorney can advocate for you. Boating and watercraft accidents can produce injuries even more severe than those suffered in car accidents. If you’ve been injured, a skilled attorney from a Newport Beach accident law firm can help you understand any obstacles you may face when pursuing compensation. To make an appointment for an initial consultation, call the offices of Russell & Lazarus APC at (949) 851-0222 or (800) 268-9228.